Smallholding & larger animal care for pets such as horses, cows, pigs, goats, sheep, alpacas and more. We never walk in large groups so you can be sure that your dog/s get the full attention they deserve. If your dog likes to socialise we may bring our own dogs along on a walk but only in instances where your dog is happy for the company. Jo is an experienced dog owner and has trained her dogs in both obedience and gundog work. She also holds a canine first aid certificate and has a background in working with animals for films. Jo’s own pets include two lovely labradors and siamese cats. Jo lives in Fernhurst. 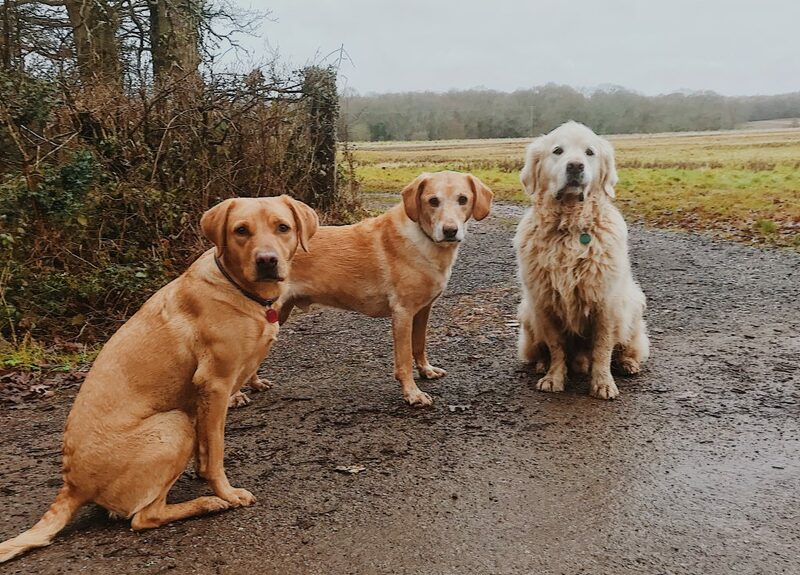 Now 9 years into dog ownership Adele has trained her 3 dogs in mixture of obedience, clicker training, agility and beginner gundog training methods. Along with her three dogs her pet family also includes guinea pigs, chickens, ducks and quail. Adele lives in Northchapel. 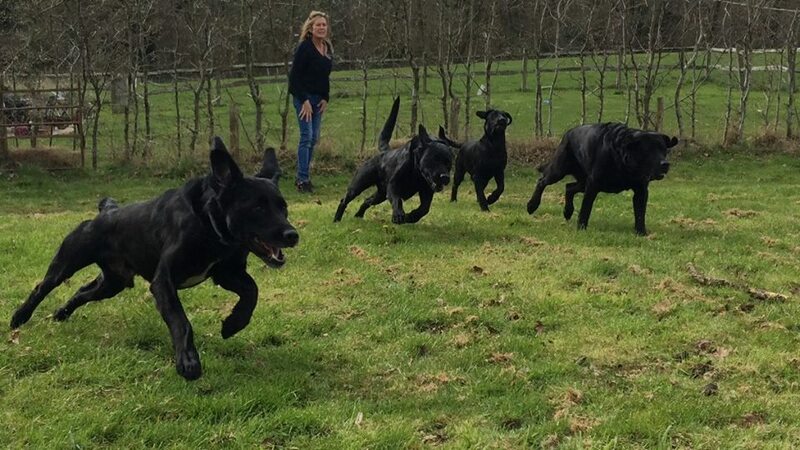 Jo with ALL the black labs!